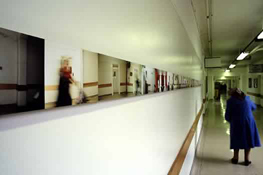 These images are on permanent exhibition in the main corridor of Central Middlesex Hospital, London. 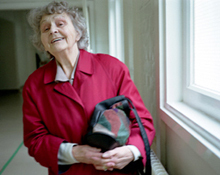 Corridor Voices documents the history and contemporary life of the Central Middlesex Hospital through the portrayal of life along its bustling main corridor. The exhibition brings together the memories of people associated with the hospital – a place with a remarkable history of medical advance. Some of the stories are recent; some stretch back over decades. 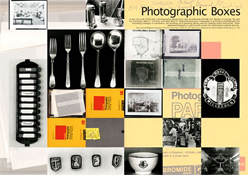 Memories mix with recovered images and texts, ranging from yellowing pictures found in filing cabinets to old documents recording past events, even scraps of memorabilia. Such is the stuff of a folk history that really matters – because it is personal and the individuals involved left their mark.